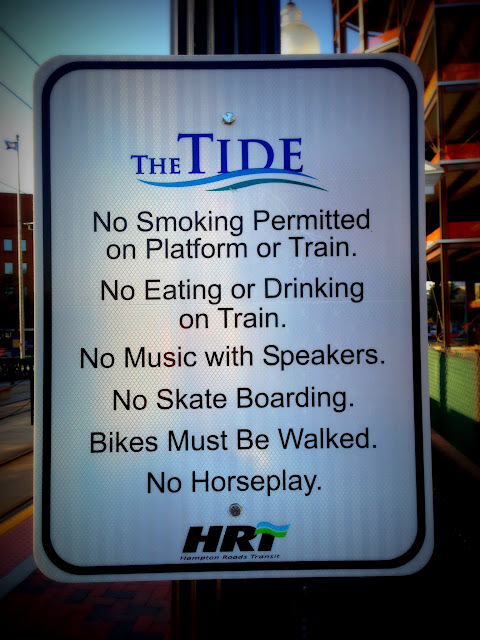 I was always intrigued when Hampton Roads Transit, a.k.a HRT, decided to ban "Horseplay" from The Tide light rail platforms. I was never sure why they choose the word horseplay. I would have preferred any of the following more creative synonyms: buffoonery, capers, hijinks, rough-housing, rowdiness, shenanigans, or my all time favorite - tomfoolery.